Private home prices down for THIRD consecutive quarter! Prices of private residential properties in the second quarter fell by 1% from the previous quarter – the third consecutive quarter of decline, the Urban Redevelopment Authority (URA) said on Friday (July 25). Prices of non-landed properties in the Core Central Region (CCR) declined by 1.5% from the previous quarter, following the 1.1% decrease in the January to March period. Prices in the Rest of Central Region (RCR) declined by 0.4%, after decreasing by 3.3% in the previous quarter. In the Outside Central Region (OCR), prices declined by 0.9%, after the 0.1% decline in the previous quarter. Prices of landed properties declined by 1.7%, significantly more than the decrease of 0.7% in the previous quarter. Rentals of private residential properties in the second quarter fell by 0.6% from the previous quarter, compared with a 0.7% decline in the January to March period. Developers launched 2,843 uncompleted private residential units excluding Executive Condominiums (ECs) in the second quarter, compared with 1,964 units in the first quarter, URA said. A total of 2,665 private residential units (excluding ECs) were sold by developers during the quarter, compared with 1,744 units in the January to March period. The number of resale transactions rose to 1,314 in the second quarter, up from 941 transactions in the previous quarter. Resale transactions accounted for 31.9% of all sale transactions during the quarter, compared with 33.5% in the first quarter. There were 139 sub-sale transactions in the second quarter 2014, compared with 128 transactions in the previous quarter. Sub-sales accounted for 3.4% of all sale transactions in the quarter, lower than the 4.6% recorded in the January to March period. 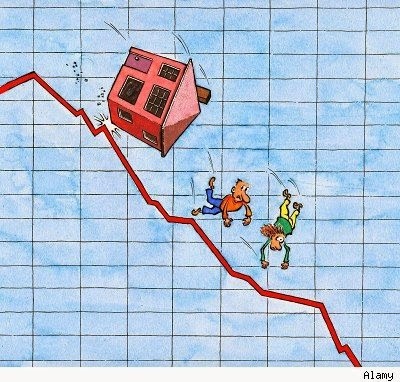 No Comment to " Private home prices down for THIRD consecutive quarter! "